RIO DE JANEIRO, BRAZIL – Last month the Labor Public Ministry (MPT), released its biannual ‘Lista Suja,’ or ‘Dirty List,’ naming and shaming companies that have been found to be exploiting workers. There were 48 new names added to the list, bringing the total to 251. The majority of the new entrants, sixteen, were based in the Central-West region of Brazil. 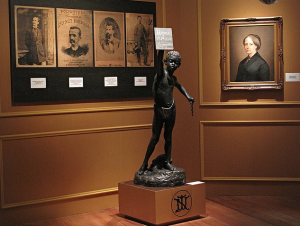 Museu Historico Nacional in Rio exhibit marking the end of slavery in Brazil, photo by Charlie Phillips/Flickr Creative Commons License. This was followed by thirteen employers from the South, eight from each of the Southwest and Northern regions, and three from the Northeast. One new case was found in São Paulo state, while no new cases were identified in Rio de Janeiro state. 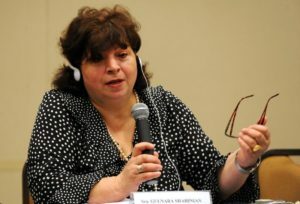 According to the UN Special Rapporteur for Contemporary Slavery, Ms. Gulnara Shahinian, one of the most common forms of slavery in today’s Brazil is bonded labor, where workers from poor backgrounds are forced to work as a means of repayment for a loan. The loan is often to pay for travel expenses incurred in getting to the place of work, and the value of their work is invariably greater than the original sum of money borrowed. The practice is most prevalent in the cattle ranching and the sugar cane industries and the victims are predominantly men and boys aged fifteen and older. According to a report published by Anti-Slavery International, a UK based NGO, the consequences for employers whose names are mentioned on the Dirty List include fines, debarment from state benefits (including grants, loans, and agricultural credits), and up to eight years imprisonment. Furthermore, a National Pact for the Eradication of Slavery exists whose signatories are bound to cease all business relations, direct or indirect, with any company named on the list. Subscribers to the pact include big names such as Walmart, Carrefour, Vale, Pão de Açucar and McDonalds. Given that many of the Dirty List offenders are mining outfits or agricultural producers, this penalization alone can be enough to put the company out of business. The Dirty List and the National Pact form part of the government’s National Plan for the Eradication of Slavery which was initiated in 2003 by President Lula da Silva with aim of abolishing slave labor in Brazil by 2006. UN Special Rapporteur, Gulnara Shahinian praises Brazil's "exemplary" measures to combat slavery, photo by Roosewelt Pinheiro/ABr. The plan also included tightening up laws to include degrading working conditions and exhausting shift patterns under the definition of slavery, the creation of a permanent council called CONATRAE to co-ordinate the various governmental departments, NGOs and the federal police in combating slavery, and increasing public awareness. On August 17th, a factory in São Paulo producing Zara’s clothing was closed for conditions analogous to slavery. It was reported that Bolivians were brought to Brazil illegally, locked in small apartments and sewed clothes for twelve to fourteen hours a day without hot water for taking showers or food for lunch. In May this year the MPT conceded that the 2003 reforms were insufficient to eradicate the problem, admitting that around 20,000 people in Brazil still work under conditions tantamount to slavery. Some reports place the number of slaves today at least as 12,000,000 worldwide, with the largest amount in South Asia. Shahinian’s report recommends passing a constitutional amendment which was first proposed nine years ago known as PEC No. 438/01 under which, land where forced labor had been used would be expropriated, without compensation, and re-distributed. Priority would be given to those workers who had previously been held there in slave-like conditions.